Providing you the best range of cementing head and double plug cementing head with effective & timely delivery. 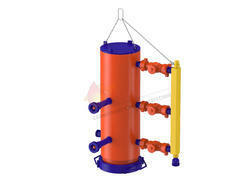 SH Cementing Head is designed to hold a cementing plug before it is pumped down the casing during the cementing operation. Head after the spacer fluid. A manifold incorporated into the cement head assembly allows connection of a fluid circulation line. SH manufacture both type of Cementing Head, Single Plug or Double Plug and available sizes are 4 ½” to 20.“. 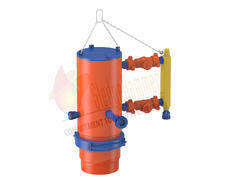 Sledge Hammer's Cementing Head is designed to hold a cementing plug before it is pumped down the casing during the cementing operation. In most operations, a bottom plug is launched before the spacer or cement slurry. The top plug is released from the cement Head after the spacer fluid. A manifold incorporated into the cement head assembly allows connection of a fluid circulation line. Sledge Hammer manufacture both type of Cementing Head, Single Plug or Double Plug and available sizes are 4 ½” to 13 3/8". Looking for Cementing Head ?